There are several points to consider when looking for an orthodontist near Fitchburg, as that can make a major difference in your treatment. Orthodontists in Fitchburg are specialists who treat oral issues related to misaligned jaws and teeth. Most people think of orthodontists when they require braces, and since this kind of treatment is usually in question, it is best to choose an orthodontist wisely and Dr. John Walker and Dr. Liz Walker of WalkerOrthodontics are here to help! Usually your dentist will be the first to spot any orthodontic issue, and will likely recommend a dedicated and impressive orthodontist that he or she knows. Your dentist is likely to recommend the best for your specific case, but you could also ask around amongst your friends and family members to see if they have any recommendations. More often than not, hearing candid feedback from actual patients will give you an accurate understanding about the type of experience you can expect. Lastly, you should also consult online research before choosing an orthodontist near Fitchburg. Look on the Fitchburg orthodontist’s Facebook, Google+, and HealthGrades pages. All of these pages can be key sources to learning about how patients felt about the orthodontist. Obviously, negative reviews should be a sign to stay away. Dr. John Walker and Dr. Liz Walker of Walker Orthodontics near Fitchburg reviews are extremely positive, and a great example of what to look for! While searching for an orthodontist near Fitchburg, you will obviously have to consider the level of knowledge and expertise of the person. Luckily, there are ways for determining their expertise and accomplishments. All orthodontists have to complete an additional two to three years of training after dental school to qualify. After you have shortlisted a few orthodontists, it is best to go for the first consultation to acquire an idea about the type of person you will be dealing with. The initial consultation will hopefully answer the question of, “what orthodontic treatment do I need?” and a lot more. This also gives you a chance to see if you are comfortable with the staff and the doctor. 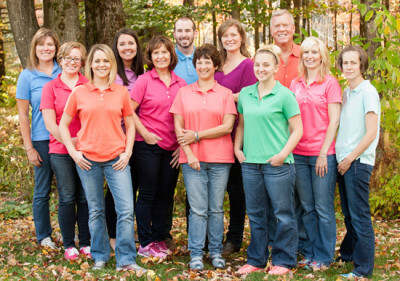 Look for a friendly and comfortable environment with doctors and staff that you trust, like Walker Orthodontics has! Apart from expertise and skill, the other main point to consider when picking an orthodontist is what the treatment is going to cost you and what orthodontic treatment payment options are being offered. When the treatment involves braces, Invisalign, or any other hardware it can get quite expensive, and you will want a payment plan that you can afford. Most orthodontists provide plans of monthly installments that are spread over the period of treatment. However, inquire about the different payment plans that are on offer before you make a final decision. Braces have evolved considerably during the past decade and there are now many types to consider. When you are deciding on which orthodontist to go with, make sure you have access to all the latest orthodontic treatment options. The orthodontist should not be trying to sell you the most costly product, but rather discuss the advantages and disadvantage of various doors to open so that you can make an informed and suitable choice. Walker Orthodontics provides a wide variety of treatment including Invisalign, traditional metal braces, and more!